For thousands of years, Cayenne Pepper health benefits are many. This hot spice is your friend one that could help prevent a heart attack. Cayenne Pepper (Capsicum Annuum) is one of many forms of Capsicum that is available. Originally, native to Central and South America regions, Cayenne Pepper grows in many parts of the world, in particular, subtropical and tropical climates. Depending on which part of the world you come from, the name usage can be slightly different when using the name peppers. 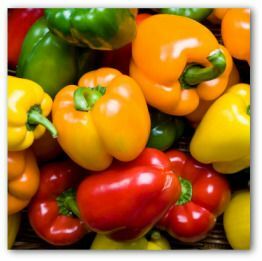 There are many varieties but two main types of peppers. It is these sweet peppers, which come in different names. The hot varieties also called Chili Peppers or chilies, while the mild or sweet forms are Red, green, yellow or Bell peppers in North America and the United Kingdom. In countries such as Australia, New Zealand, Singapore and India, these are Capsicum. The active ingredient in Cayenne Peppers is a substance known as capsaicin. This is where the spiciness and heat come from when having Cayenne Peppers. Due to the qualities of Capsaicin, it is commonly used in many food dishes to provide that heat to either flavor the dish and many times to increase that heat and spicy taste we have come to know. Such as in Indian dishes, Asian dishes, and many others from around the world. Not just a spice with a kick. Although Cayenne Pepper is used for many culinary dishes for that extra kick and nutritional benefit. This spice, however, has more to offer than increasing the heat in the cooking department. The same active ingredient (Capsaicin) that Cayenne Pepper has generated has for thousands of years, has helped many with its health and healing benefits. One that the Ancient healers already knew about now science is continuing to not only learn from but also be amazed by the many properties Cayenne Pepper has to offer. Saliva plays a very important role in the digestive process it helps to neutralize acids that enter the body via the mouth. Another important role of Saliva is that it helps to maintain a healthy digestive system. 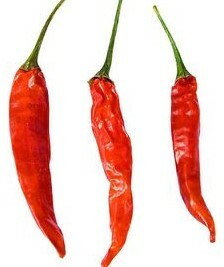 When Cayenne Pepper is added to the mix, it helps to stimulate the body’s production of saliva. In doing so, this helps to aid digestion. It is also known to help with improving or possibly cure peptic ulcers. Being high in Vitamin C the body can benefit from suffering from colds and flu. 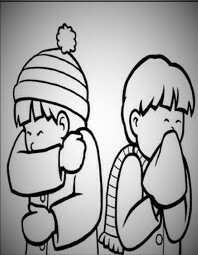 This is done by helping to break up congested mucus and moving it out of the body system. Another factor supporting this is that Cayenne pepper helps to raise the body temperature which in turn, causes the body to sweat thereby increasing the active motions of the immune system. Taking Cayenne Pepper as a tea or within a meal can help to improve the flow of blood circulation around the body. This action increases the internal heat in the body and in doing so helps the blood flow to circulate more efficiently. This action activates the body to function more efficiently. You will also find when if you are having spicy foods that have capsaicin in some form in the meal you can start to feel the heat and for many that feeling of flushness. An example of this could be eating hot peppers through to hot and spicy sauces that contain Capsaicin. IF you have ever felt the heat or feel flushed after having a very spicy meal then this is the capsaicin in action. Due to the stimulant properties, Cayenne Pepper is known for, there have been new studies that have shown benefits for those having issues with hair loss or hair growth. For example, Alopecia sufferers have been known to benefit as a result of having Cayenne Pepper which in turn helps to stimulate the hair follicles. For those suffering or having issues with hair loss, you can find further information from Hair Loss Revolution. The National Institutes of Health along with the McCormick Spice Company did a study with an average age of 23. What this showed was that Cayenne Pepper helped to decrease appetite along with burning about 10 calories more over a four-hour period. The portion taken was about half a teaspoon of Cayenne Pepper either taken in capsule form or mixed with food. It also found that those who did not normally eat spicy food that the effect was greater than those who did. More studies are required but bearing in mind, these young people were not overweight. 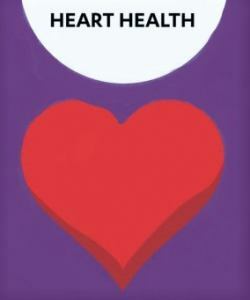 According to the studies, the average BMI (body mass index) was 22, which is in the normal weight range. Personally, I would like to see this same study with people in a higher BMI range. This build-up when untreated can gradually block blood from flowing through to the heart which can result in various situations such as Heart Attack, strokes and even result in Death. It is said that drinking a Cayenne Tea that has been given to a person who is suffering from a heart attack will be quickly revived and according to some show no effect of the said heart attack. 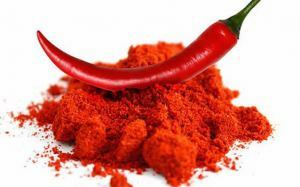 This according to the famous herbalist Dr John Christopher, Cayenne Tea equates to a teaspoon of cayenne powder in a cup of hot water, about 500mg dosage. 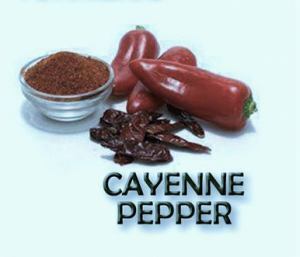 Use of Cayenne helps to lower the Blood pressure when eaten in moderation. On the other hand, eating too much in one hit can have the reverse effect, in that it can raise blood pressure. However, common sense should prevail for most people. There are many other claims of what Cayenne Pepper can do, however; many more studies may be required to substantiate such claims. We know that many of the ancient healers gone by have known much of what Science is still coming to grips with. Not to mention how many large corporations are prepared to give in to as they know any natural forms of support with health and healing can reduce the money flow into their coffers as well. So best that you be the judge of what works and what does not. Below you will find more of what Cayenne Pepper health benefits are purported to do and perhaps you have experienced some of these yourself. Other claims of benefits in the use of Cayenne Pepper. Able to treat psoriasis that can help reduce itching and other related symptoms of Psoriasis. Properties of Cayenne Pepper, act as an anti-fungal that can work for various systems including Candida. When consumed as Cayenne Tea can help to relieve migraine headaches. Fights gum disease and treat toothaches. Capsaicin helps produce saliva which is crucial not only for digestion and taste but also is an important factor to help fight against plaque and tartar buildup. Its anti-irritant properties help to ease ulcers, stomach aches even to stop diarrhoea. Again drinking the Cayenne Tea could support this idea. Have you used Cayenne Peppers in order to benefit your Health? Have you had any experiences for either yourself or another any of the above claims? Therefore, if anyone has benefited from using Cayenne Pepper regarding any issues above or any not listed then please let us know. It would be great to hear from you and I am sure many others would love to read and even share their experiences as well with you. Just drop a comment below so others can also benefit from your knowledge. Remember always go forward in all you do in life.